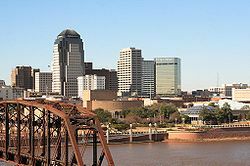 Shreveport is the third largest city in Louisiana, known as the Ark-La-Tex where the borders of Arkansas, Louisiana and Texas meet. Including Bossier City on the opposite side of the Red River, this region is considered being the most desirable place to retire to. 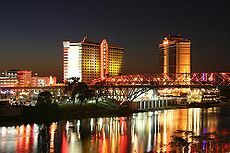 Shreveport - Bossier City, is also known as “the other side”. The northwest part of the state, in and around these two cities is a little different than the rest of Louisiana. It’s a mixture of the wide-open Texas spirit and the spicy Cajun attitude. Thus, this mix of western style and Creole attitude is what makes this city so inviting. With its cultural events available year round, great schools, shopping, quality healthcare, and fine restaurants; this city is a cut above the rest where you can not only live a wonderful lifestyle, but in these difficult economic times, live affordable as well. Music lovers will enjoy the concerts, classical music, ballet, and opera as well as the Symphony Orchestra. In addition, there are a multitude of theaters, museums, festivals, and activities you can engage in year round. Walk along the Red River or take advantage of the fishing, boating, and other recreational activities offered. Or visit one of the many parks where you can hike, picnic, or go bike riding. One of the most popular venues around is the riverboat casinos. There are five in all and this is one of the factors that have increased the number of newcomers to this great city; the area has seen a rapid growth in the gaming industry. Shreveport’s city government has also been creating many innovative tax incentives to attract new businesses and the downtown Convention Center is burgeoning with tradeshows, business meetings, conventions and special events. Its unique lifestyle is a result of the warm friendly feeling of living inside a community that has both the charm of a small town and, of course, its touted southern hospitality. Families enjoy all of the recreational activities available, and more.. Another unique feature is the relatively low cost of housing and living. For all Elvis fans, Shreveport is the place where he began his career on the stage of the Municipal Auditorium, he is commemorated with a statue in front of the restored facility. Shreveport is one of the few metropolitan areas in the United States where such a wonderful lifestyle is still available to people at an affordable cost. Add to your list Shreveport, Louisiana as an ideal place to retire.